We train together, we struggle together, we grow better together. Upon arriving in our facility you’ll immediately notice mutual trust and friendship among our members, who all spend a lot of time training together. At one point we were all beginners, wondering if this was for us or not, but we all kept showing up. The tasks you will face will be difficult, but you will have people by your side who’ve all been there. Always moving forward. CrossFit Level Two Trainer – Michael has trained in functional training and, specifically CrossFit training, for several years. 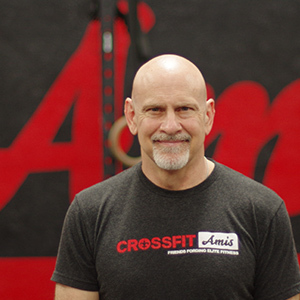 After obtaining his Level 1 CrossFit certificate, he decided to open CrossFit Amis with a goal of helping Acadiana becoming more fit. He enjoys working with athletes and non athletes alike, working with them to set and meet goals. Whether the focus is improving your strength and endurance in a particular sport or just improving your overall health, Michael is dedicated to the success of all individuals. CrossFit Level One Trainer – L1 Certificate in 2018, and active in CrossFit for over 5 years. He got into CrossFit after he noticed he would get winded after climbing a flight or 2 of stairs. His favorite movement is pull-ups! He enjoy accomplishing goals, but truly loves seeing others accomplish their goals and helping them get there. 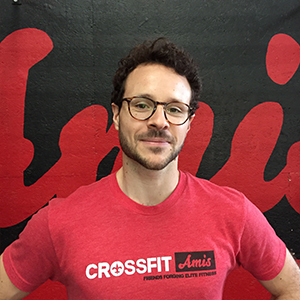 CrossFit Level One Trainer – After working 8 years behind a desk for a television network, Francois felt his life was mundane. Because the French never do things half way, he decided to react and change. He quit his job, quit smoking, gave up an apartment in Paris and restructured his life by becoming more active in sports. After traveling around the world, he found CrossFit in his hometown. CrossFit became a way to challenge himself and improve his life. 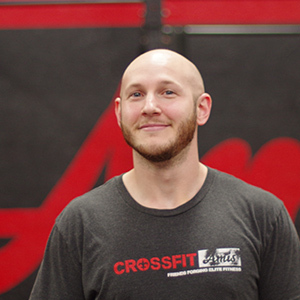 His passion for CrossFit led him to become a coach, obtaining his Level One Certificate after moving to Lafayette with his wife. Now he is sharing his experiences and trying to help people find the same excitement and enthusiasm CrossFit has brought and continues to bring to his life. I am the happiest and most motivated I have been, ever. CrossFit Amis will always be my gym family. Great place, great instruction. 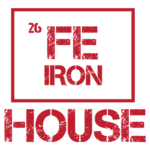 Best CrossFit place in town with coaches who motivate you to be your best. Gaining strength and fitness in such a great community with awesome coaches has been a blessing! 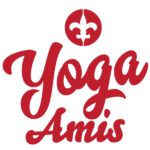 Crossfit Amis offers a very inviting and positive atmosphere to work out, with superior coaching. Here is what you can expect to experience during our CrossFit classes. Classes last one hour each. Every WOD begins with a warm up session. Meant, to be slow and easy. A set skill instruction takes place to education on proper form and technique. This is the WOD or Work Out of the Day. This will be different each and every time. Each WOD concludes with a 10 to 15 minute cool down and stretch. Every workout has an Rx (aka Prescribed), which is the recommended weight or movement to be used. Every workout also has a couple of levels of scaling, which reduces the weight required, modifies the movement and/or reduces the repetition count. We scale the workouts until you have learned and can demonstrate proper form, and ready to challenge yourself. Our mission is to help you be better, by focusing on the proper form and adherence to standards.